Whe world is full of contrasts and contradictions. Things and people who seem to have nothing in common at all. And it is even more beautiful, when you discover these pair and find, that not everything is as easy as it might seem at first glance. Contrast is simply a beautiful thing. And that’s exactly what Pink Monkey Games has done for Contrast. Specifically, we should thank Julien Percot, who is behind its simple idea. 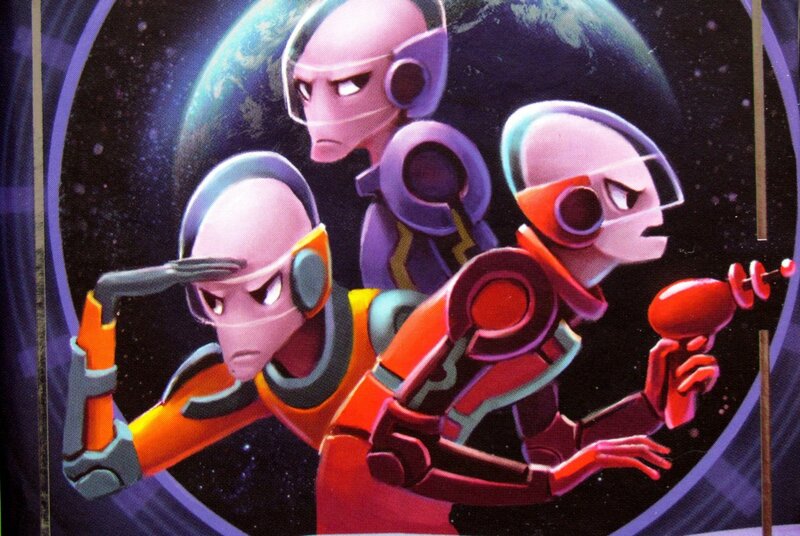 The whole game got help in completion from a group of illustrators, among them Annamei, Jr Casas and Cirodelia. And Esdevium Games company delivers the game for European distribution. It all starts with a small box, that looks just like another party game with several characters and bubbles. And that’s what you’re going to do. At that moment, the overall impression is hanging on a thread. Can the author scramble up the glory without breaking the thin hairlike anchor? 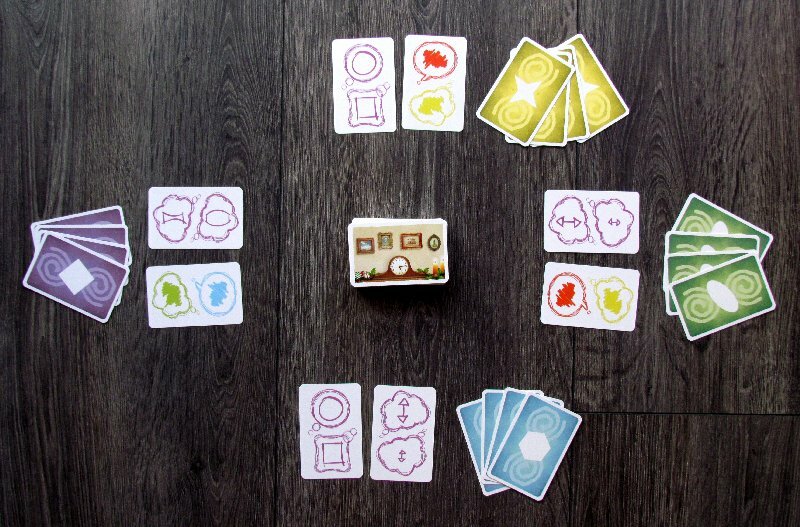 There is so many party games and this one can offer just a flood of cards at a glance. There is a total of 110 cards and more than half of them have pictures on both sides. 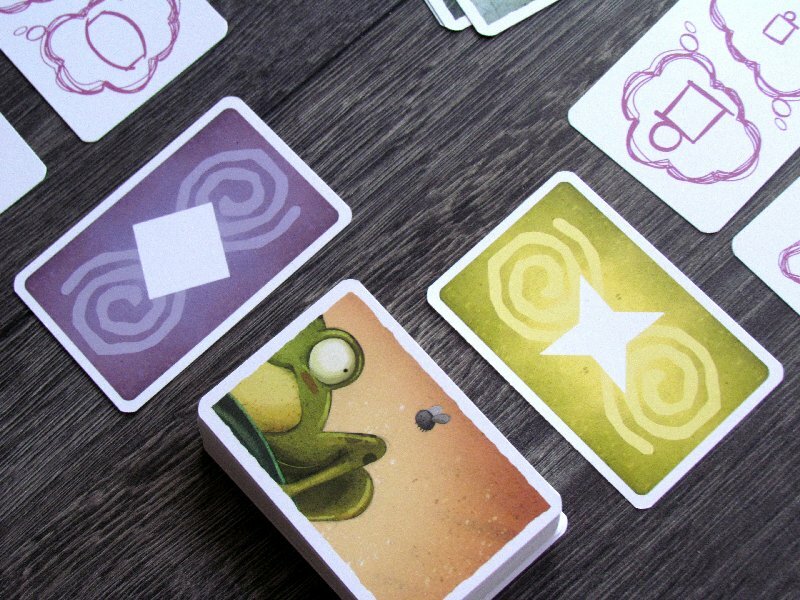 Colorful and dreamlike, but also small, because the cards are of a classic size and not bigger, as is often the case with graphics-oriented games. It is from these images, that players at the beginning create a drawing pile, which may be reduced by up to 30 (out of 70) cards according to the number of participants. Each rival then receives set of symbol cards in his chosen color. 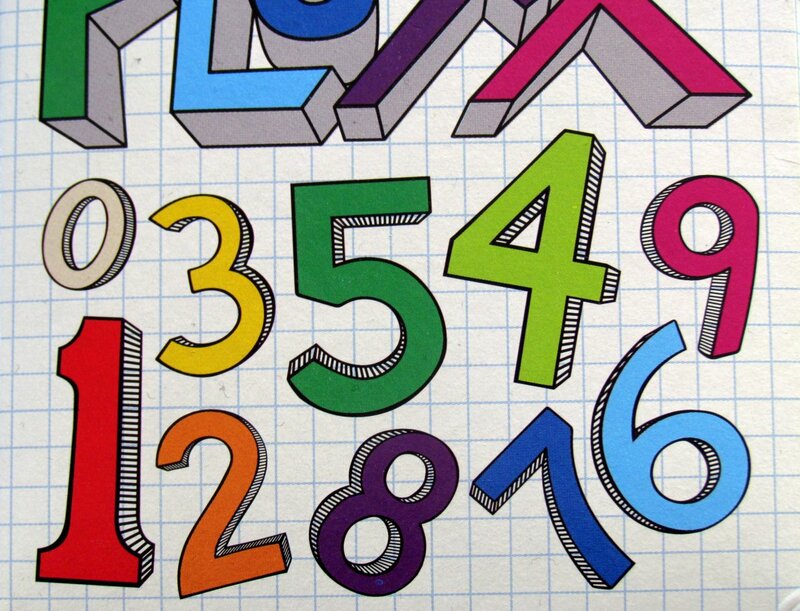 These are six cards, that always show two possible properties – color or shape. After shuffling, everyone puts two random ones in front of him with picture up. The remaining four are kept in hand. At least for a moment, because all players will throw themselves into the first round immediately. They will look at the image at top of the package and choose from one of eight available symbols (two on each of four cards available these turn) one, that best describes it. This card is then placed in front of them, so that the chosen symbol (there are two on the card) is closer to the image in the middle. Rivals actually have as much time as they need. But that only applies until all but on have made their choice. The last player, who still has not finished has to make decision within a few seconds. Other players count to three to remind him of his limit. Then everyone will reveal their chosen symbols and find out, which one has been chosen most often. He is victorious. But only if there is no tie between more symbols. Each participant, who has chosen the right winning symbol, will take one card from the stack of pictures as a reward. It serves as a victory point. The player then exchanges used card for one other lying in front of him (blocked). This always changes options in hand and player never has the complete set to choose from. The game continues with other rounds until the whole central pile is gone. In such a moment, the winner of the match is the one with most points (picture cards). 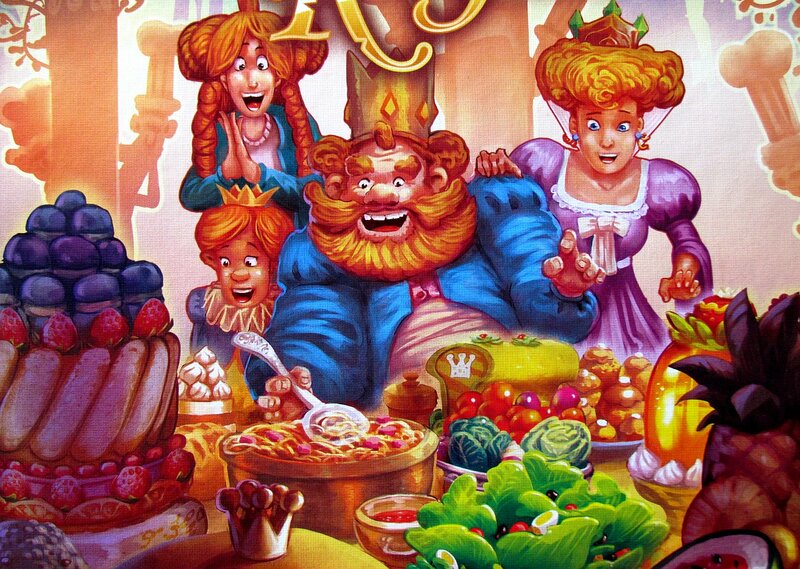 Contrast is again a game in which players try to imitate choices of others. All participants must set aside their original perception of the world (and images) and try to choose option, which other players would choose. Images are interesting and usually do not give an obvious choice. 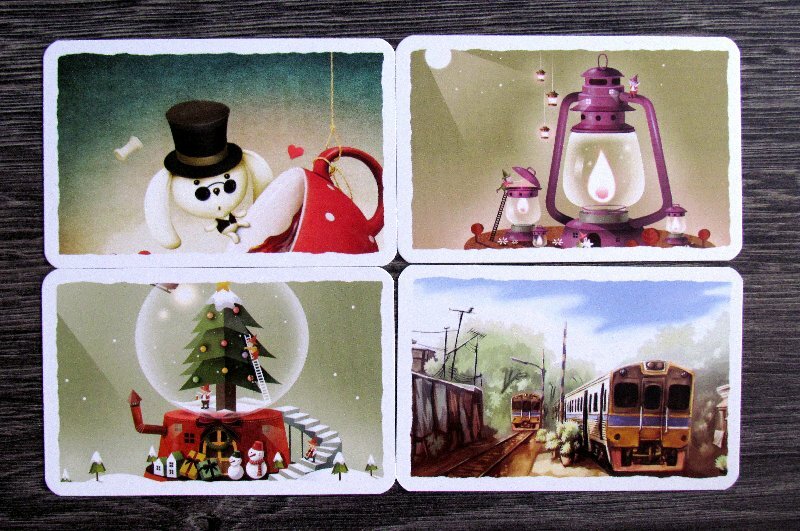 Very interesting is the limitation of choice of cards, because no one has a complete set to select from. And because luck in the first round decides, which cards are blocked, it will stir everything up. At the same time, however, it is good that everyone is constantly aware of what symbols do other people’s have available. This knowledge needs to be used well, because it is only possible to win with most frequently chosen symbol. Very tricky are two types of cards. Player can choose color or shape to differentiate completely from others. Well, you definitely do not want to do it here. At the same time, these moments can be perceived by some players as random. Do you want to rely on certainty? It is not possible here. No tactics are enough, luck is needed. And that’s exactly where Contrast ranks without questions into the category of party games. If you think estimation of other’s opinion is too easy, you can choose an advanced version from rulebook. 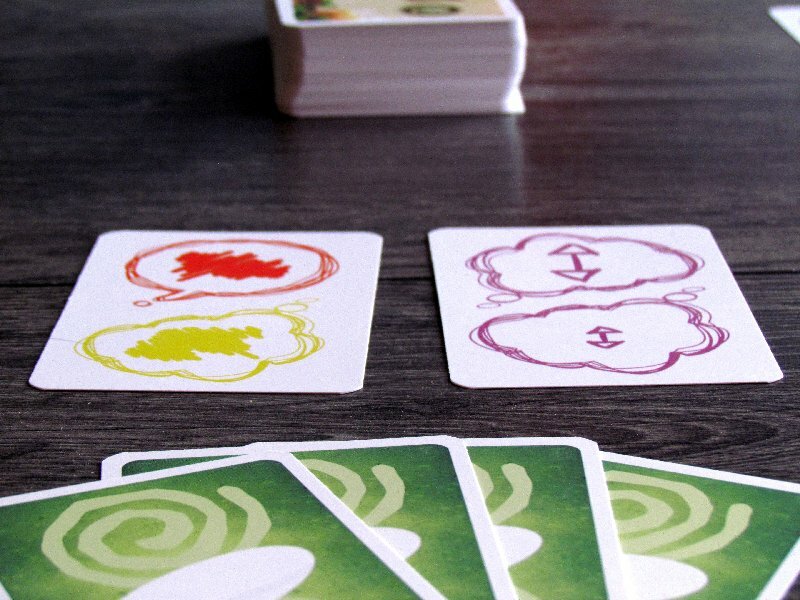 The player locks three cards for each move instead of two, so each player has only six symbols to choose from. This makes it much more difficult to agree on some icon and, moreover, you have to put much more emphasis on what images others have at their disposal. You can find recommendations on the box, that its should be playable from two participants up to a maximum of six. Here the numbers are a bit misleading because in two players, you can only fight in a cooperative variant. Players here try to collect as many points as possible in the pass through the deck. 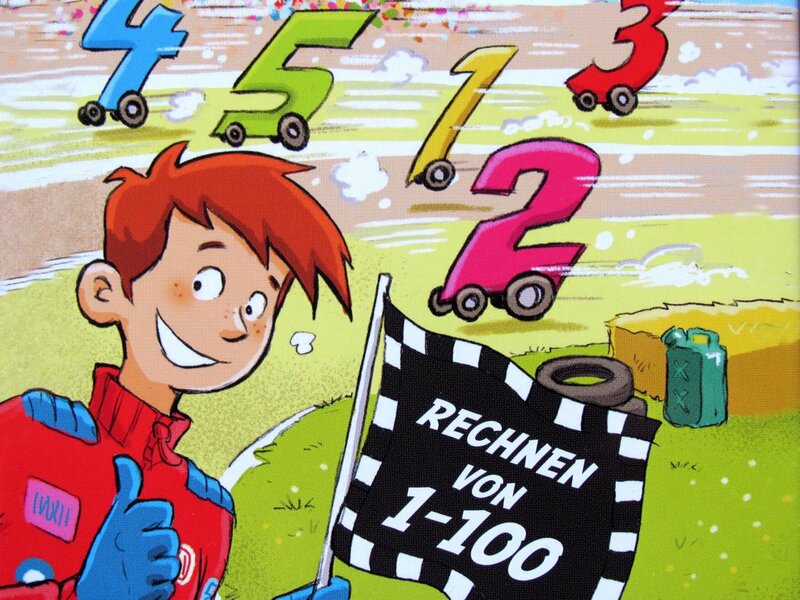 On the contrary, in larger numbers, the game is much more fun and the points are accumulated more easily. That’s why we recommend it primarily in five or six participants. And you can enjoy it all in 15 minutes, regardless of the number of players. Great weapons of this game are of course illustrations. Without them, such descriptions of images would be far from complete. 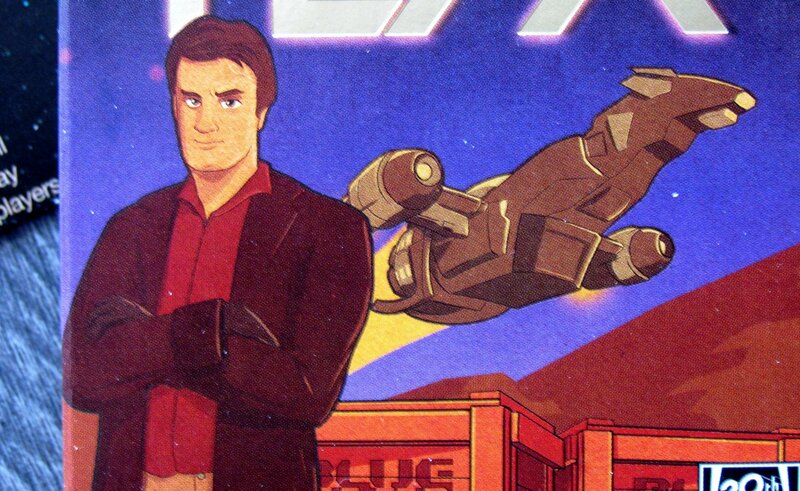 And the drawings are really nice, full of imagination and variety. They are identifiable by different styles of several authors, but it will not bother you, since they are still quite compact. The symbols on the cards are well chosen and their meaning is obvious at first glance. 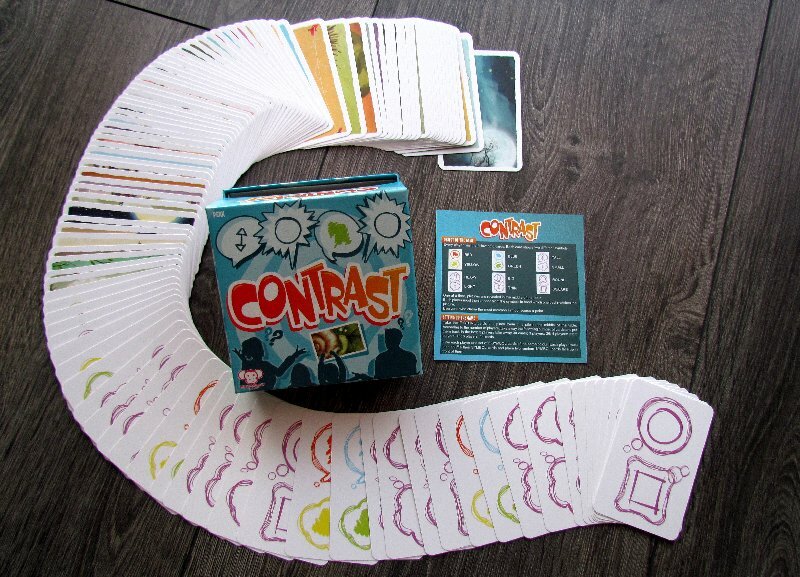 Contrast is an excellent party game, that examines the odds of all players involved. Images can mean something different to each other, but here they have try to think alike. Only by being part of the majority can get you points and you can end up winning in the end. Contrast is a good card entertainment that is fast and does not disappoint anyone, who will expect a light party party fun.